South Oceanside is a very diverse neighborhood that is reminiscent of beach homes that were built in the 1950's. Much of this charm still remains as you can still find these original beach properties that are located just blocks to the beach. 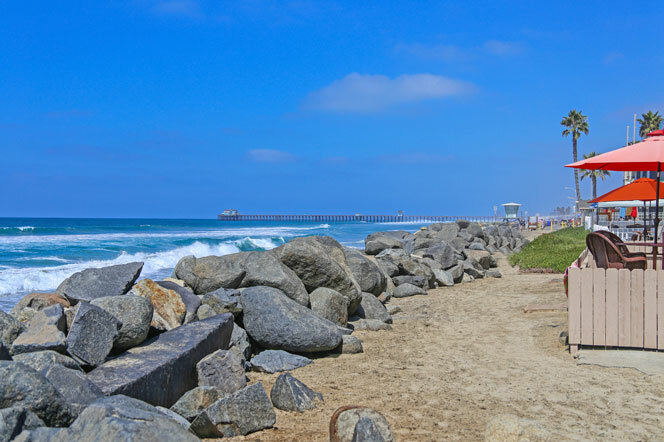 When people refer to South Oceanside they typically mean homes and condos located near the Oceanside and Carlsbad boarder. There is a large inventory of homes in this area that can range from a modest single family home to a luxury beachfront home on the sand. For the most part, this is probably the best place to find a home by the beach as the northern section of Oceanside has a high density of residential condo buildings. Our website has compiled all the homes in this area and we encourage you to contact us with any questions regarding the South Oceanside area and homes for sale.